Casino Promotions is based in Columbia, South Carolina and specializes in providing "qualified players" as well as the avid gambler an opportunity to travel to premiere casino destinations worldwide. Our focus is to provide excellent customer service and assist casino players in creating a fabulous gambling get-a-way anytime, anywhere you choose to play. 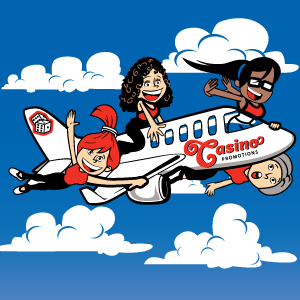 Whether you choose to fly, drive, or take a cruise, contact Casino Promotions to organize your next gambling trip! Casino Promotions offers services to over 60+ casinos across the United States and Caribbean. Ready to Gamble? Check out our casino travel calendar to plan your gambling getaway! As your personal host, we can book your show tickets and promotions. Let us work for YOU!